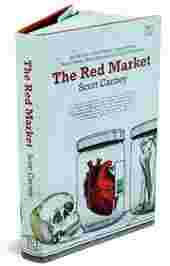 The subtitle of journalist Scott Carney’s investigation into the flesh trade—literally, the trade in human flesh—announces that the author has reported from “the trail of the world’s organ brokers, bone thieves, blood farmers, and child traffickers". Don’t be fooled; his is a book about India, with eight of 10 chapters being at least partially set here. The affair, he says, was the beginning of his understanding of the red trade, or the international market for human parts and babies. While transporting a corpse is only tangentially related to the red trade, it’s impossible not to find Carney’s account of the three days he spent in India with Emily’s lifeless, decaying body riveting. He uses the ordeal as a springboard to the trade in human body parts, the appetite for which, he writes, is at its apex. “It doesn’t matter what our moral position is on the subject, bodies are unquestionably commodities," Carney says. He reckons his own body’s parts—those of a light-skinned, tall, healthy male— are worth around $250,000 (around ₹ 1.2 crore). Carney, a contributor at Wired, starts what at times feels like a romp through a series of hellacious situations in West Bengal, where he investigated the trade in human bones. “For almost two hundred years," he writes, “India has been the primary source of bones used in medical study, renowned for producing specimens scrubbed to a pristine white patina and fitted with high-quality connecting hardware." The export of human bones was banned in 1985, says Carney, but “there are open signs the trade never ended", as evidenced by a consignment of skulls viewed by Carney at a rural police station, estimated to be worth $70,000. The most disturbing chapter might be Carney’s investigation into the dysfunctional Indian blood donation system, in which a patient in need of a blood transfusion must first replace the blood they intend to use. 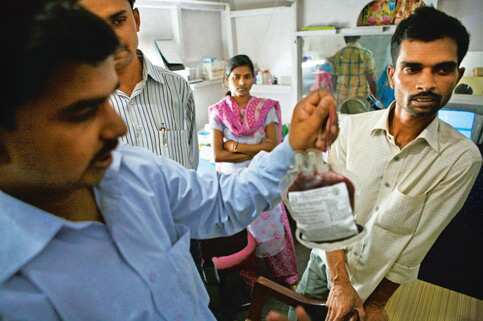 The policy, coupled with the fact that many patients are prohibitively superstitious about parting with their bodily fluids, has resulted in a class of for-profit blood donors who chicken-hawk patients in front of Indian hospitals. Carney meets one such man who says he is HIV-positive. A photo of Carney on the jacket suggests he’s an Indophile—in it the author is shown tilak­-ed, at an Indian bus depot. Carney says he learnt Hindi at university, has reported extensively in India and lived for years in Chennai. His website says he lived in the subcontinent for “half a decade"; his bio on the book’s flap says he has a “decade of experience living and researching in India". 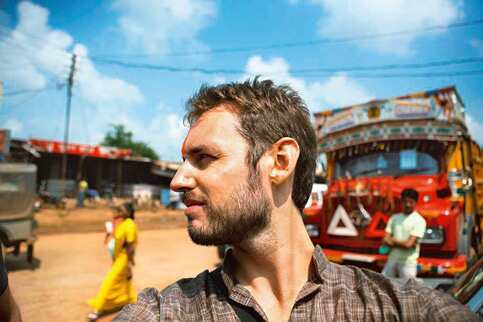 Either way, his experience in India allows him to write with nuance and context on situations he encounters here. But the chapters outside India don’t come alive like the ones set here, and some reporting trips feel cursory in comparison. A chapter set in an in-vitro fertilization clinic in Cyprus falls a bit flat, and a chapter on bio-ethics, albeit deftly executed, slows the pace of the book. To be sure, Carney’s reporting is thorough and often intrepid, his synthesis of complicated issues commendable. A standout chapter is the one on adoptions of kidnapped Indian babies by families in the West. In the chapter, Carney must tell the parents in the US of an adopted child that their baby was stolen from its Indian parents, who very much want to re-establish contact with their child, by then a pre-teen. The adoptive father says he long since suspected his child could have been stolen. He told Carney they paid $15,000 in “fees" for the child. “‘We looked at Korea and South America, but India was the most open’—as in less difficult," Carney quotes. One of Carney’s conclusions is that “flesh moves upward—never downward—through social classes", making the red market inherently exploitative. A solution, he says, would be to infuse transparency by eliminating the notions of privacy and altruism that “pervade the market for human body parts". The aim, he writes, “should be to integrate and repersonalize human identities into the supply chain. Every bag of blood should include the name of the original donor, every adopted child should have full access to their personal history, and every transplant recipient should know who gave an organ."